Hebden Bridge Zen are a Soto Zen group in the lineage of Shunryo Suzuki Roshi. We meet regularly to sit together here in Hebden Bridge. We also organise talks and retreats with visiting teachers. 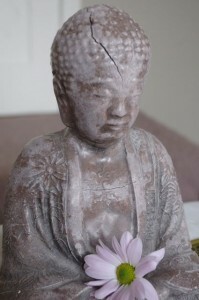 Our door is always open to anyone who wants to meditate with us and our cracked-head Buddha.